Product prices and availability are accurate as of 2019-04-19 01:03:24 EDT and are subject to change. Any price and availability information displayed on http://www.amazon.com/ at the time of purchase will apply to the purchase of this product. 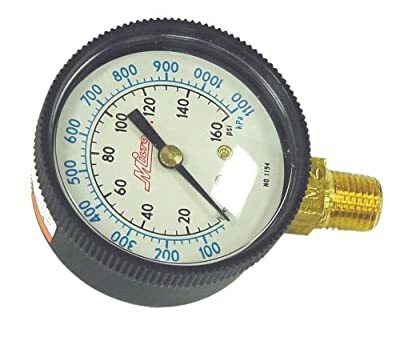 Use this pressure gauge for reliable service with compressors, regulators, air lines, pneumatic tools and equipment. Made up of a brass mechanism, ABS case and a polycarbonate lens, this gauge is resistant to heat, corrosion, water, salt water and oil. Can also be used in steam applications if less than 120 degrees Fahrenheit. 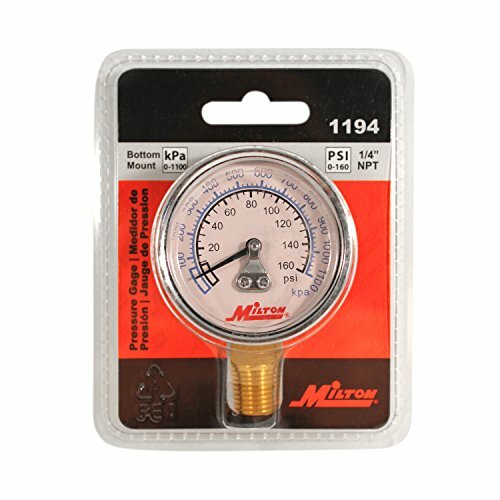 The 1/4" NPT pressure gauge has a bottom mount and offers a pressure range of 0 to 160 PSI. 2" face diameter.